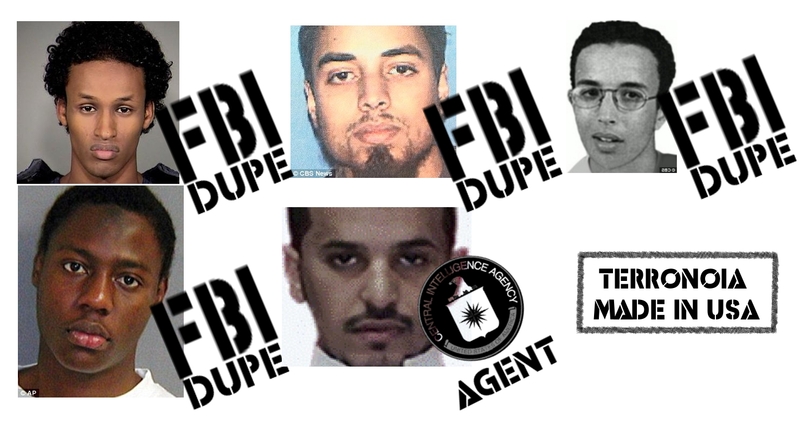 Saudi national Abdul Rahman Ali al-Harbi, who was briefly held as a “person of interest” in the Boston bombings and then downgraded in less than 24 hours to a witness, visited the White House on numerous occasions since 2009, The Rightscoop reports today. The startling allegation follows an earlier report indicating that al-Harbi was visited in the hospital by First Lady Michelle Obama after he allegedly sustained injuries from one of the explosives placed at the Boston Marathon. Blogosphere sleuths subsequently put their hands on a photo definitively placing Obama at the hospital. The Department of Homeland Security confessed today that al-Harbi was on a terror watch list, although DHS boss Napolitano attempted to minimize this revelation by stating that he was just in the wrong place at the wrong time. “Because he was being interviewed, [after the he was at that point put on a watchlist, and then when it was quickly determined he had nothing to do with the bombing, the watch listing status was removed,” she told Republican Sen. Chuck Grassley of Iowa during a hearing of the Senate Judiciary Committee. A couple obvious questions come to mind. First, why did the First Lady visit a man who was on a terror watch list, no matter how briefly, and second, how is it that he gained access to what is supposedly one of the most secure buildings in the United States? Is it possible we can attribute the hospital visit and multiple visits to the White House to a special relationship shared between Saudi royals and at least two presidents? For instance, is well-known that George W. Bush had a close relationship with the corrupt Saudi monarchy. It is important to note that it was the Department of Homeland Security that initially labeled al-Harbi as a suspected terrorist and the alternative media is merely following up on this fact. Government released and micromanaged evidence in the Boston bombing case implicates the Tsarnaev brothers as the culprits and not Abdul Rahman Ali al-Harbi. His presence at the scene, while suspicious, does not implicit him in this crime. The Constitution doesn’t include a “Bill of Privileges” that Congress, the President, or law enforcement can suspend or deny based on the whims of men. According to the “supreme Law of the Land,” the United States Constitution, We the People are presumed innocent until proven guilty. For nearly 50 years, law enforcement have been required to read a person in custody their 5th Amendment Rights. The alleged Boston Marathon bomber, according to numerous news reports, is a naturalized U.S. Citizen. His citizenship isn’t the issue when it comes to the protections of the Constitution and Bill of Rights on U.S. soil. It only becomes an issue when considering the magnitude of charges against him. As a citizen, Article III, Section 3, regarding treason, might be the appropriate charge. If convicted as a murderer, he may face the death penalty. Overzealous media queried the police and district attorney at the press conference after his capture if they planned to seek the death penalty. So much for being innocent until proven guilty. It is hard to imagine how he will receive a fair trial considering the media circus and hysteria surrounding the manhunt. Obviously, whoever committed the heinous attacks at the Boston Marathon deserve justice, and the harshest of penalties should be considered if found guilty. That doesn’t mean the accused has no rights. It doesn’t mean that he can be denied counsel during questioning. It doesn’t mean, simply because we “think” he’s the crazed killer that his rights have been forfeited. 1. The prosecution may not use statements, whether exculpatory or inculpatory, stemming from questioning initiated by law enforcement officers after a person has been taken into custody or otherwise deprived of his freedom of action in any significant way, unless it demonstrates the use of procedural safeguards effective to secure the Fifth Amendment’s privilege against self-incrimination. Pp. 444-491. (b) The privilege against self-incrimination, which has had a long and expansive historical development, is the essential mainstay of our adversary system, and guarantees to the individual the “right to remain silent unless he chooses to speak in the unfettered exercise of his own will,” during a period of custodial interrogation [p437] as well as in the courts or during the course of other official investigations. Pp. 458-465. 2. The limitations on the interrogation process required for the protection of the individual’s constitutional rights should not cause an undue interference with a proper system of law enforcement, as demonstrated by the procedures of the FBI and the safeguards afforded in other jurisdictions. Pp. 479-491. But there’s still a very good chance we can win! We’ve been fighting these gun control battles for almost 40 years now. And we almost always win. But it’s almost always a nail-biter. And so it is on Obama’s gun control agenda. We’d hoped that we could stop the gun control bribe-o-thon early (and risk-free) by blocking the motion to proceed to the package. But thanks to sell-outs like Pennsylvania’s one-term senator, Pat Toomey, we’re going to have to take a different battle position and defeat the package at a later stage. The Senate today overcame the Paul-Cruz-Lee filibuster and voted to move to proceed to Harry Reid’s gun control bill (S. 649). Where Reid needed 60 votes, the tally was 68-31. Click here to see if your Senator sold you out by voting to “move to proceed” to the bill. Republican defectors who voted anti-gun were: Alexander (TN), Ayotte (NH), Burr (NC), Chambliss (GA), Collins (ME), Corker (TN), Coburn (OK), Flake (AZ), Isakson (GA), McCain (AZ), Heller (NV), Hoeven (ND), Kirk (IL), Graham (SC), Toomey (PA) and Wicker (MS). So, here’s where we are. Right after the Senate proceeded to the gun control bill, Harry Reid used his privileged recognition to put a bunch of amendments in place. In Senate parlance, they are referred to as an “amendment tree;” and they contain the universal registry bill, the Feinstein gun ban, and the magazine ban. These will be voted on in upcoming days. As for the Toomey-Manchin-Schumer universal registry bill, don’t believe the press’ efforts to sugar-coat it. If you have ever had an “Internet … posting” on (or related to) your gun, you can sell it only by going to a dealer and filling out a 4473 and getting the government’s approval. Only a cave man would be exempt. And once you have a 4473? Well, the ATF is going from dealer to dealer, copying the information on these forms, and feeding it into a database. But, says Toomey, he’s against universal registries. This is where it would have helped if Toomey had consulted someone who knew something about guns. Registration and violation of privacy. First of all, Toomey’s anti-registry language prohibits photocopying the 4473’s, but it doesn’t prohibit going into the FFL with a laptop and copying all the information. Second, ATF takes the position that the data it’s accumulating in a database is not a “registry,” so Toomey’s ban does no good. Third, guess what the sanction is for violation of Toomey’s anti-registry language? Answer: Eric Holder has to choose to prosecute himself and his own department. But this isn’t the only bad thing about Toomey-Manchin-Schumer. Section 107 of the sell-out also waives any federal privacy prohibitions under HIPAA to sending the names of Americans with PTSD, ADHD, and post partem depression to the gun ban database. But that’s not all. Believe in Jesus, hand in your guns? Because private shrinks will be able to add patients names into a federal database of the mentally ill – without due process – you will be at their mercy. And as for veterans? Toomey-Manchin-Schumer reinforces the proposition that bureaucrats in the Department of Veterans Affairs can take away veterans’ rights without any due process. If a veteran has $30,000 to spend getting back the rights Toomey-Manchin-Schumer wrongly took from him, the sell-out creates yet another redundant money-trap for restoration of rights that shouldn’t have been taken away in the first place. What if you want to travel across the country? McClure-Volkmer allowed you to do that with an unloaded gun in the trunk (18 U.S.C. 926A). But, under the Toomey-Manchin-Schumer sell-out, unless you can “demonstrate,” to the satisfaction of the New York police (1) where you came from, (2) where you’re going, (3) that you’re legally entitled to possess the gun in the place you can from, and (4) that you’re legally entitled to possess the gun in the place you’re going, they will arrest you in New York. The Toomey-Manchin-Schumer sell-out creates a Biden-like commission to insure that the cries for gun control continue. Like sprinkles on a pile of dung, Toomey and Schumer steal some of the proposals we drafted and try to use them to get us to buy onto gun control. But it won’t work. The gun movement is united against this disgusting pile of gun control. Here is the new battlefield. Because of the Senate rules, many of the upcoming gun control votes will need 60 (out of 100 votes) to move forward. That will almost certainly be the case with the Toomey-Manchin-Schumer proposal. And because the entire Second amendment movement – GOA, NRA, etc. – is against the Toomey language, it virtually ensures his amendment will fail. And if Toomey-Manchin-Schumer doesn’t pass, then Reid probably won’t have enough votes to overcome a second filibuster on the bill – as it would contain the original anti-gun language sponsored by Reid and Schumer. This all but guarantees that the legislation would die, as Republicans and a half-a-dozen Democrat Senators would then team up to keep the bill from getting the required 60 votes. One last question or thought: Did we waste our time supporting the Paul-Cruz-Lee filibuster and fighting the motion to proceed? No, because we forced Obama to fire most of his ammunition, as he dragged his human props around Washington in an effort to exploit them for political gain. If Obama had been able to wait to play this card until Toomey-Manchin-Schumer came up for a vote, that vote would be a lot harder for us to win. ACTION: So contact your Senators. Tell them to vote against cloture on the Toomey-Manchin-Schumer sell-out. Click here to send your Senators a prewritten email message. On Thursday, both Senators Richard Burr (R) and Kay Hagan (D) sold out gun owners by voting for the “motion to proceed” which will bring “universal gun registration” bill S. 649 to the Senate floor for debate this Tuesday. Hagan has been doing her best to camouflage her stance on the issue, while Burr had previously said he would support the Rand Paul filibuster, before switching sides and voting to proceed. Burr’s claims that he did so only when promised an open amendment process ring false: The most certain way to kill the bill would have been to deny it a floor vote. Sen. Harry Reid’s original version of S. 649 would criminalize a huge array of lawful behaviors such as loaning a gun to your mother, loaning a gun to a friend to hunt, or even leaving one at home with your spouse for more than 7 days. The first amendment to be offered, on Tuesday, is the “compromise” worked out by Sens. 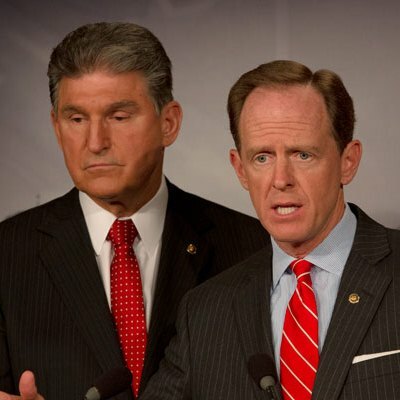 Pat Toomey (R-PA) and Joe Manchin (D-WV). Although you’re being told it is “better” because it protections for gun owners, those “protections” have holes you could drive a truck through. As is invariably the case, this “compromise” defines a process in which you lose slightly less than under the original proposal, but you still lose! Worse, the Toomey-Manchin measure described by Gun Owners of America as “See a shrink, lose your guns” is a very real threat. Thanks to the vagueness of Title 18 of the US Code of Regulations, a single doctor’s report could potentially trigger the loss of your gun rights without any type of hearing or due process. If you want to see how that works, check New York State, which recently adopted a similar proposal. As reported by Fox News and others, authorities have begun confiscating guns from lawful gun owners — in some cases, even the wrong gun owners. Burr says he opposes the Toomey-Manchin amendment…but he also said he would filibuster the S. 649 motion to proceed, and we all know how that worked out. Hagan probably wants to vote for it and then claim it as a pro-Second Amendment vote. It is not. If the Toomey-Manchin amendment passes on Tuesday, it will hurt our chances for killing S. 649. Stopping Toomey-Manchin will probably kill the bill. Accordingly, you need to deliver a LOUD & CLEAR message to both Burr and Hagan (and Republican turncoats from other states) that if they vote for the Toomey-Manchin amendment, they should start looking for a new job. Your vote for the motion to proceed on S. 649 will be forever reflected as a vote against the Second Amendment. What happens next is up to you: Either you can mitigate the damage by voting against the Toomey-Manchin sellout, or you can once again betray gun owners and the Constitution. Understand that I do not consider this “compromise” to be anything other than a sellout of Second Amendment interests. The supposed protections if promises gun owners are false, and its dangers to gun rights are very real. As gun owners have told you before: We will not compromise on this issue. In fact, if you continue to vote against gun rights, I encourage you to look for another job; in your next election, gun owners will work to remove you. I will continue to monitor your performance via Grass Roots North Carolina legislative alerts. 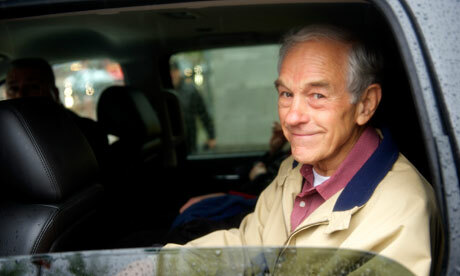 It seems once again Ron Paul is being attacked by big publications like the Guardian, even in retirement he simply can’t promote liberty without the internationalists taking issue. So what is the tactic they are using this time? Apparently his Homeschool Curriculum is being written by Evangelical Christians… dun da duuuun! If you haven’t heard he recently just announced from his brand new radio platform the Ron Paul Homeschool Curriculum. In his genius he is starting a schooling alternative that totally bypasses the establishment indoctrination camps, mislabeled as public education here in America. It is no secret he opposes public education as being unconstitutional and a dismal failure. In fact in the 2012 Presidential Debates he put forth a proposal to cut spending by 1 Trillion Dollars, and in that proposal right at the top was ending the Department of Education. Ron Paul is a purest in every since of the word and his congressional record proves it. This clip from the 2012 debates demonstrates superbly how far our politicians have gone from the values in the constitution and the oath to office they swore to uphold. The homeschooling curriculum can be lauded as a masterstroke against the New World Order. There can be no question that internationalist bankers have taken over the minds of our children in this country through the co-opting of finance, government, and the public education system. They know that the vast majority of adults and students that make up the Ron Paul Revolution have gone through the public education system. A system that has absolutely rejected and even mocks the principles of the Constitution and the moral instruction found in the Bible. Now the majority of these young libertarian/constitutionalists that have been inspired by Ron Paul’s message have un-indoctrinated themselves towards liberty, but they sure have retained their hate for anything resembling Biblical values. This approach is clever because it indicates a thorough understanding of the demographic of the Liberty movement and the people who have aligned themselves ideologically with Ron Paul. Most of them are avowed Atheists and hate Biblical Christianity as the internet flavor of the month. It is true, but what is ironic is the vast majority of young libertarians will tell you how much they hate the fed, and big government, and even the public educational system, but they will defend the social darwinistic ideals that have been spoon fed them from their youths by public schools. Hand to mouth, shoveling information arranged and codified into our public education system by the very elitist internationists they profess to hate. This is an example of double think at it’s finest. It demonstrates that even though libertarians everywhere have totally grasped and embodied the finest principles enshrined in the Constitution they refuse to talk about, recognize or even admit that these principles exist because of the Bible and the Reformation. There simply would never have been an enlightment period with out the Reformation, the two go hand in hand. We would of never had a Lexington Green, Concrod Bridge, American Revolution, Bill of Rights, or Constitution. None of it would exist without a profoundly logical expression of our God given natural rights by that founding generation. See for yourself our founding fathers in their own words time and time again reiterated that Biblical Christianity and moral instruction is foundational to our form of government. Founders quotes on the religion and government compiled by Pastor Chuck Baldwin. So what the elite are doing is exploiting this ignorance with in the movement. It is nothing more than a divide and conquer tactic. If they can get libertarians to reject Ron Paul’s curriculum on the grounds it has a religious bent then they win and prevent this remarkable idea from taking root as a very real way to assure that liberty principles are taught inside the family for generations to come. The charges in this article are laughable, and show just how desperate the establishment is at disrupting the growing liberty movement. Ron Paul will remain committed to keeping his religious beliefs private, as he always has you can be assured. Even in the undertaking of writing a homeschool curriculum, I am positive he will maintain neutrality. How one can expound upon ALL of the the principles of liberty and not touch on the impact the Christian faith has had isn’t really possible, but I am sure it will be addressed in an all inclusive way. If Ron Paul taught us anything it is this, the Constitution and liberty principles is a very big tent that everybody from every walk of life can seek refuge and knowledge in as truth. We, the ones who hold these truths as self evident need to remain loyal to these principles, especially when confronted with information or beliefs that you may not adhere to or like. After all isn’t that what Liberty protects? Do not fall for this tactic, regardless of how you feel about the Christian religion recognize that the elite love splitting popular movements along religious and ideological lines. Keeping factions at one anothers throat means they can continue to rule unimpeded towards a global tyranny called the New World Order. Let’s simply not give them that pleasure and abandoned public education in favor of homeschooling this next generation of children under the Ron Paul Homeschool curriculum, and take the minds of our children back. I was the first to point out that the Federal Reserve was rigging all markets, not merely bond prices and interest rates, and that the Fed is rigging the bullion market in order to protect the US dollar’s exchange value, which is threatened by the Fed’s quantitative easing. With the Fed adding to the supply of dollars faster than the demand for dollars is increasing, the price or exchange value of the dollar is set up to fall. A fall in the dollar’s exchange rate would push up import prices and, thereby, domestic inflation, and the Fed would lose control over interest rates. The bond market would collapse and with it the values of debt-related derivatives on the “banks too big too fail” balance sheets. The financial system would be in turmoil, and panic would reign. Rapidly rising bullion prices were an indication of loss of confidence in the dollar and were signaling a drop in the dollar’s exchange rate. The Fed used naked shorts in the paper gold market to offset the price effect of a rising demand for bullion possession. Short sales that drive down the price trigger stop-loss orders that automatically lead to individual sales of bullion holdings once their loss limits are reached. 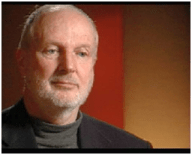 However, bullion dealer Bill Haynes told kingworldnews.com that last Friday bullion purchasers among the public outpaced sellers by 50 to 1, and that the premiums over the spot price on gold and silver coins are the highest in decades. I myself checked with Gainesville Coins and was told that far more buyers than sellers had responded to the price drop. Unless the authorities have the actual metal with which to back up the short selling, they could be met with demands for deliveries. Unable to cover the shorts with real metal, the scheme would be exposed. Do the authorities have the metal with which to cover shorts? I do not know. However, knowledgeable dealers are suspicious. Some think that US physical stocks of gold were used up in sales in efforts to disrupt the rise in the gold price from $272 in December 2000 to $1,900 in 2011. They point to Germany’s recent request that the US return the German gold stored in the US, and to the US government’s reply that it would return the gold piecemeal over seven years. If the US has the gold, why not return it to Germany? The clear implication is that the US cannot deliver the gold. Andrew Maguire also reports that foreign central banks, especially China, are loading up on physical gold at the low prices made possible by the short selling. If central banks are using their dollar holdings to purchase bullion at bargain prices, the likely results will be pressure on the dollar’s exchange value and a declining market supply of physical bullion. In other words, by trying to protect the dollar from its quantitative easing policy, the Fed might be hastening the dollar’s demise. Possibly the Fed fears a dollar crisis or derivative blowup is nearing and is trying to reset the gold/dollar price prior to the outbreak of trouble. If ill winds are forecast, the Fed might feel it is better positioned to deal with crisis if the price of bullion is lower and confidence in bullion as a refuge has been shaken. In addition to short selling that is clearly intended to drive down the gold price, orchestration is also indicated by the advance announcements this month first from brokerage houses and then from Goldman Sachs that hedge funds and institutional investors would be selling their gold positions. The purpose of these announcements was to encourage individual investors to get out of gold before the big boys did. Does anyone believe that hedge funds and Wall Street would announce their sales in advance so the small fry can get out of gold at a higher price than they do? If these advanced announcements are not orchestration, what are they? I see the orchestrated effort to suppress the price of gold and silver as a sign that the authorities are frightened that trouble is brewing that they cannot control unless there is strong confidence in the dollar. Otherwise, what is the point of the heavy short selling and orchestrated announcements of gold sales in advance of the sales?